Metrics are essential for the advancement of research and practice in an area. 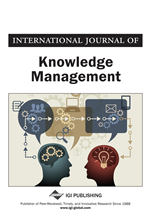 In knowledge management (KM), the process of measurement and development of metrics is made complex by the intangible nature of the knowledge asset. Further, the lack of standards for KM business metrics and the relative infancy of research on KM metrics points to a need for research in this area. This article reviews KM metrics for research and practice, and identifies areas where there is a gap in our understanding. It classifies existing research based on the units of evaluation such as user of knowledge management systems (KMS), KMS project, KM process, KM initiative, and organization as a whole. The article concludes by suggesting avenues for future research on KM and KMS metrics based on the gaps identified.